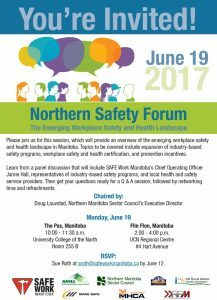 Northern Manitoba Sector Council » Northern Safety Forum – June 9, 2017! 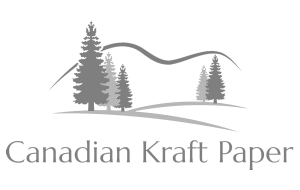 Northern Safety Forum – June 9, 2017! Please join us for this session, which will provide an overview of the emerging workplace safety and health landscape in Manitoba. Topics to be covered include expansion of industry-based safety programs, workplace safety and health certification, and prevention incentives. 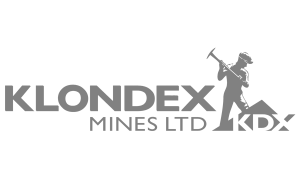 Learn from a panel discussion that will include SAFE Work Manitoba’s Chief Operating Officer Jamie Hall, representatives of industry-based safety programs, and local health and safety service providers. Then get your questions ready for a Q & A session, followed by networking time and refreshments. Sue Roth at sroth@safeworkmanitoba.ca by June 12.